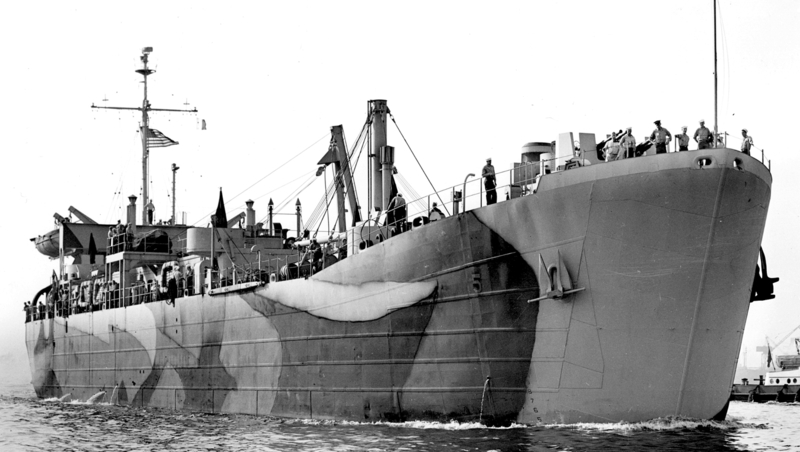 USS Midas (ARB-5) from the starboard on May 24, 1944, in Chesapeake Bay wearing camouflage 31/8L. The vertical colors are probably dull black (BK), ocean green (5-OG), brown (4-A) and haze gray (5-H). Photo source: NARA BS 68520. USS Midas (ARB-5) again from the starboard bow on May 24, 1944, in Chesapeake Bay wearing camouflage 31/8L. The darkest color appears to be black. Photo source: NARA BS 68521. 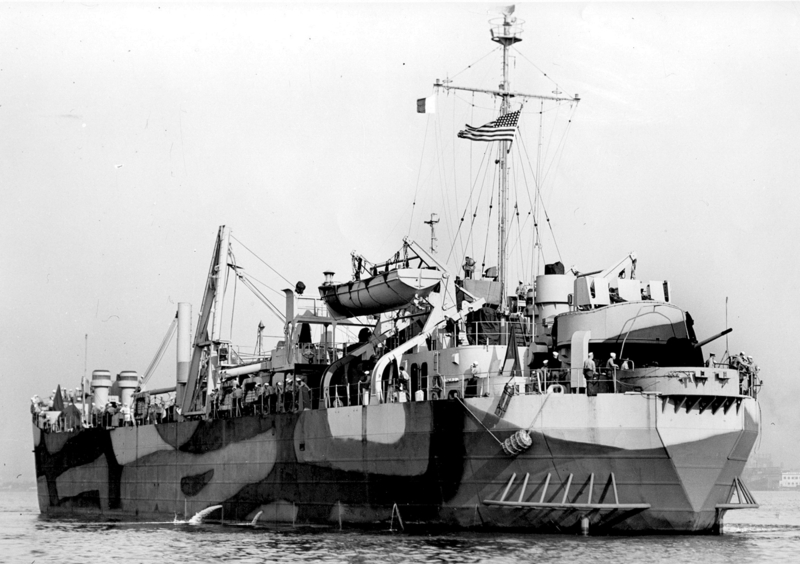 USS Midas (ARB-5) this time from the port stern again on May 24, 1944, in Chesapeake Bay wearing camouflage 31/8L. The haze gray appears very light in this view. Photo source: NARA BS 68522.